We are living in 21st century, the age of supercomputers. Or you may call it - the age of big data. So, for some of us, diseases related with poor water / food supply and sanitation may sound as a story of medieval period. You may also say, "I read only in a book !!" However, it is a fact that millions of people are still living with abject poverty and millions of children have to lose their life before fifth birthday. Even if we go through pages of our history, we have faced global pandemics that created havoc across Europe to Asia. Millions of people lost their invaluable life to cholera, flu pandemics, smallpox, tuberculosis, and thousands of children got handicapped & live crippled life due to paralytic poliomyelitis. On positive note, to be fair, we have also successfully controlled, eliminated or even eradicated many of these infectious diseases with the use of vaccine and public health measures since science took its foothold in the society from early 1900s. As an example, the greatest achievement in the human history is the eradication of small pox so far. The last case of this disease was detected in Ethiopia in 1980s. Now, we are almost nearing poliomyelitis eradication from the globe. In the backdrop of this success story, however, people in developing countries are still fighting death and illnesses caused by waterborne, airborne and vector borne diseases (in whatever capacity they can!!) through local and modern remedies available. But, the only challenge, this is further compounded by increasing population density, deforestation, climate changes, increasing numbers of multi – drug resistance bacteria, urbanization and poverty. It is reported that millions of children still miss regular vaccination either zero dose or incomplete dose. The reasons are simply related with a big gap in access and utilization of vaccines that are available through government health care delivery services. This means that all these missed children are "at increased risk" of vaccine preventable diseases and thus, outbreaks in the community. 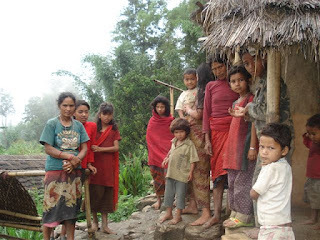 These unfortunate missed children are usually from poor family, especially tribal community or millions of so called "untouchables", who are pushed to the corner of social ladder always "under – privileged" and illiteracy rampant. So, we have a mission to reach these "High Risk" populations and provide them access to safe, effective and affordable vaccine against diseases of impoverished using science as its means. Our ultimate goal therefore should be to transcend vaccine science research from laboratory to the reach of community in high risk areas of developing countries.